I read and wrote to invoke what seemed impossible—relation itself—in order to take part in a world that ceaselessly makes itself up, to “wake up” to the world, to recognize the world, to be convinced that the world exists, to take revenge on the world for not existing. Since cofounding San Francisco’s influential New Narrative circle in 1979, Robert Glück has been one of America’s finest prose stylists of innovative fiction, bending narrative into the service of autobiography, politics, and gay writing. This collection brings together for the first time Glück’s nonfiction, a revelatory body of work that anchors his writing practice. Glück’s essays explore the ways that storytelling and selfhood are mutually embedded cultural forms, cohering a fractured social reality where generating narrative means generating identity means generating community. “I’d laugh at (make art from) any version of self,” Glück writes, “I write about these forms—that are myself—to dispense with them, to demonstrate how they disintegrate before the world, the body.” For any body—or text—to know itself, it must first see how it sees the world, and understand itself as writing. 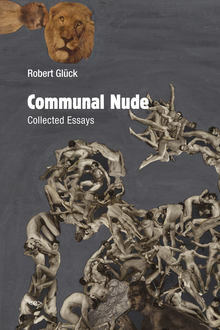 Glück’s essays affirm this radical narratorial precept in rich spirals of reading, self-reflection, anecdote, escapade, and “metatext.” These texts span the author’s career and his creative affinities—from lost manifestos theorizing the poetics of New Narrative; to encomia for literary and philosophic muses (Kathy Acker, the HOW(ever) poets, Frank O’Hara, Georges Bataille, and others); to narrative journalism, book reviews, criticism, and public talks. Many of the texts are culled from obscure little magazines and ephemeral online sources; others have never been published. As lucid as story, as lush as theory, and as irresistible as gossip, Glück’s essays are the quintessence of New Narrative theory in practice. Poet, fiction writer, editor, and New Narrative theorist Robert Glück has served as director of San Francisco State’s Poetry Center, codirector of the Small Press Traffic Literary Center, and editor for Lapis Press and the literary journal Narrativity. He lives in San Francisco and is a Professor of Creative Writing at San Francisco State University.